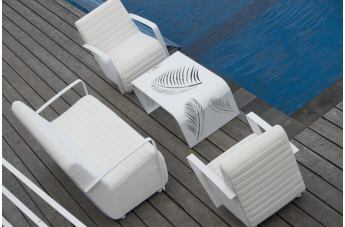 The Axis Outdoor Seating Collection features a unique and elegant design, indicative of the innovation and quality that has made Skyline Design the leader in luxury outdoor furniture. Using a multi-stage, deluxe powder coating process, the Axis Outdoor Seating Collection features an all aluminum frame that ensures unsurpassed, long lasting quality and protection from corrosion and blistering. 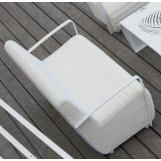 The Axis Outdoor Seating Collection is upholstered with batyline mesh fabric. Batyline mesh fabric is a revolutionary mass-colored PVC fiber that is UV-resistant, water repellant and resistant to water from swimming pools and the ocean. This easy-to-maintain fabric contains no toxins, is environmentally friendly and 100% recyclable. 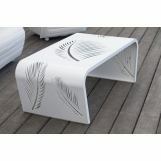 Skyline Design outdoor furniture offers an endless amount of customization options, from cushion color to weave design, allowing you to fashion these pieces to fit your own unique style. 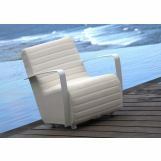 Speak with a Landscaper Outlet design consultant and create your own outdoor lifestyle with Skyline Design Furniture.